Tottenham striker Harry Kane has announced his engagement during an off-season holiday. 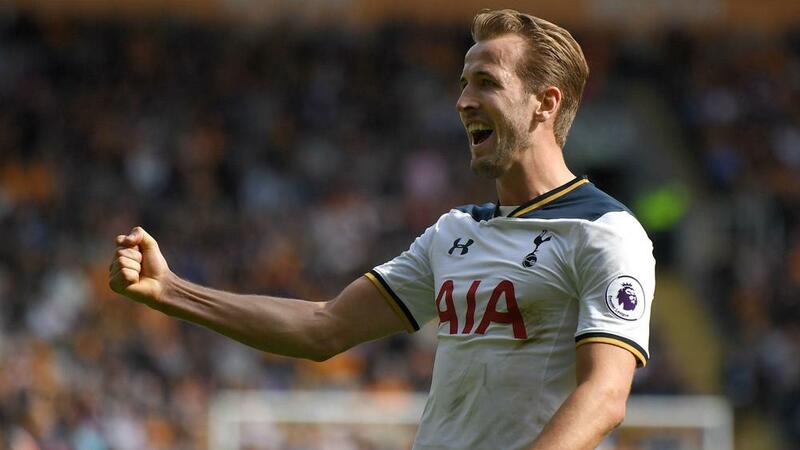 The centre-forward scored 29 goals as Spurs finished second in the Premier League, meaning he will be playing in the Champions League again next term ahead of a likely World Cup campaign with England in Russia. And it is not just Kane's career that is going from strength to strength. Partner Kate Goodland gave birth to the couple's first child in January and they are now set to get married following a successful proposal on the beach. As well as plucking up the courage to pop the question, Kane also expressed his approval of Tottenham's 2017-18 home and away kits. And Nick Kyrgios clearly likes the latest design too - the Australian tennis player was pictured already wearing the crisp white number at Wimbledon on Saturday.